HomeCCS opened the door and said “Come in!” It’s where I found hope. CCS opened the door and said “Come in!” It’s where I found hope. Renard Smith was a gifted athlete in high school and earned a college scholarship, graduating with a BA degree in business. His dreams were realized with a good job and a plan to marry his sweetheart. 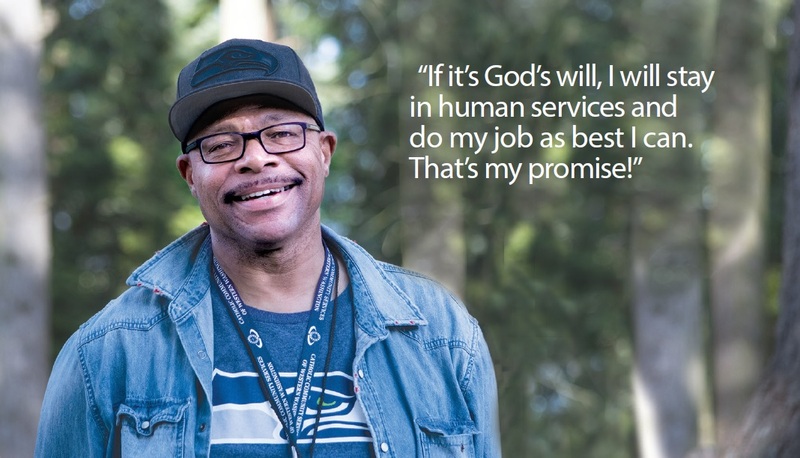 Renard believes he found that hope when the doors were opened for him at CCS, first as a recipient of shelter and supportive services and subsequently as a participant in the ASSET program – Aspiring Social Services Employee Training. Kerry Cooley Stroum, ASSET program manager, describes with enthusiasm the mission of ASSET to build on CCS/CHS’s history of hiring current and former program clients into agency entry level positions. “The entire agency is committed to our ASSET participants’ success. CCS/CHS staff managers refer qualified clients to the program, serve as staff mentors, teach ASSET training classes and host participants in their programs for job shadowing and volunteer internships.” ASSET graduates have gone on to be employed in a variety of CCS/CHS programs or with other social service agencies. 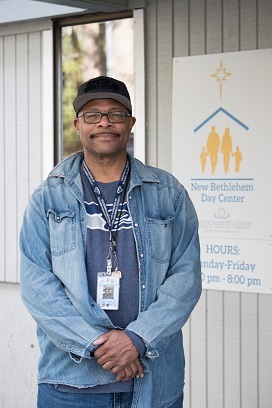 ­­Renard’s work experience was matched with the need for an “Engagement Coordinator” at the New Bethlehem Day Center in Kirkland. Job tasks include floor monitoring, helping with basic guest services and acting as a liaison between volunteers and staff. “I never planned to get into the social services field – it was the furthest thing from my mind,” Renard says with a smile. Your gifts of support are powerful and truly help renew and save precious lives. Be assured that each dollar is used wisely to achieve the greatest impact and outcomes. Please consider making a donation today!